Start by lying on your back with hands behind your head, the head and upper body lifted off the mat, one leg bent in towards the chest and the other leg reaching out away from the body. The back is in imprint or supported neutral until you can keep the back absolutely still as the legs lower. EXHALE – rotate the torso and reach the rib cage towards the opposite knee while keeping the elbows wide and the abdominals engaged. The lower abdomen stays still and both hips stay on the mat. No rock and roll! INAHLE – as you switch sides. Keep the lower abdomen and hips still while rotating the upper body as far as possible in each direction; lower the straight leg so it is on the same level as your eyes. Don’t Let the Holidays Ruin Your Diet!!! So summer is officially over and the holiday season is quickly approaching… But don’t let the holidays ruin your diet!! Here are my top tips to stay fit this holiday season. 1. Make your workouts mandatory. There is always an excuse to miss a workout, but don’t. Write your workouts in your schedule and don’t miss them. This is a busy time of year but you deserve to make time for yourself. You will happier and if you stay with your workout schedule. And if you are feeling lazy then take a group class or workout with a friend. Summer bodies are made in the winter! Especially with the parties this time of year and all the food and sweets that are readily available, this is not the time to be missing a workout. Do at least 30 minutes of exercise 5 to 7 times a week. 2. Find balance. On Thanksgiving it’s tradition in my family to have pumpkin pie so I will have a slice. The important part is not to go back for seconds or thirds, that day and the next. Find balance and moderation, don’t deny yourself and make yourself miserable, instead have reasonable portion sizes and eat healthy the majority of the time. You will notice the healthier you eat, the less you will crave unhealthy foods. 3. Know what you are putting into your mouth. When you are at a party or dinner eat off a plate. Snacking or eating from a tray and lead to over eating, and when we over eat, we gain weight. It is important to know what you are putting in your mouth. 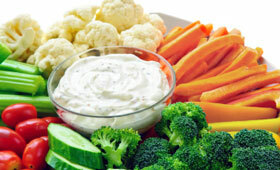 Health pros suggest eating a small meal or snack that is rich in fiber and protein before a party to avoid over eating. Also, make sure to eat plenty of vegetables because they are full of nutrient dense carbohydrates that will help you stay satisfied longer than refined carbohydrates. Another great tip of knowing what you are putting into your mouth is to make and keep a food journal. 4. Drink water. Sometimes we mistake being thirsty for hunger. The cues from our body that tell us we are hungry and thirsty are every similar. So staying hydrated will help you from not eating when you are not hungry. In addition, if you trying to lose weight the process of burning calories requires an adequate supply of water in order to function. In addition, when you are exercising it creates toxins and water has a vital role in flushing them out of your body. There are several different recommendations for water intake and it can vary from person to person, however, drinking six to eight eight-ounces glasses of water each day is a standard recommendation. So drink up and stay hydrated. Enjoy your holidays and stay active! Remember that shopping at the mall should not replace your workout, but it does add to your step count. Every day is a new start, so if you had one bad day or even two the worse thing you can do is beat yourself up about, just start fresh the next day and stay positive! HAPPY HOLIDAYS! Start in a plank position with your hands right below your shoulders and hips in line with your body (shown above). Lift one leg towards the ceiling and pulse it twice then place it back down. Then lift the other leg pulse it twice then place it back down. Do 10 sets! This is a great exercise that works your entire body including your core, scapular stabilizers, lumbopelvic stabilizers, and you get gluteus maximus work! Check out the video here : http://youtu.be/YB0zv950YNk.